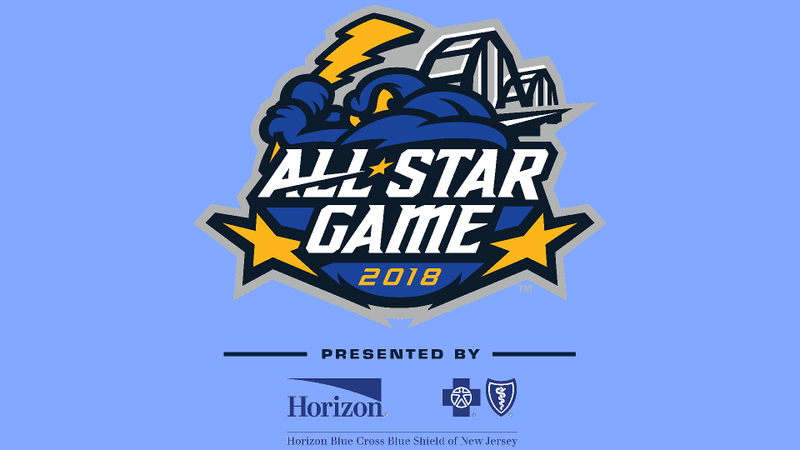 TRENTON, NJ - The Trenton Thunder, in conjunction with the Eastern League of Professional Baseball, have announced the rosters for the 2018 Eastern League All-Star Game, which will take place on Wednesday, July 11, at 7 p.m. This will be the third time that ARM & HAMMER Park has hosted an All-Star Classic, and the first since the 2009 Eastern League All-Star Game. The Eastern and Western Division All-Star squads will be represented by 25 players each, 11 pitchers and 14 position players. The Eastern Division roster features the Toronto Blue Jays' number-one and number-two prospects in New Hampshire Fisher Cats infielders Vladimir Guerrero Jr. and Bo Bichette , respectively, as ranked by Baseball America, as well as top Colorado Rockies prospect, infielder Brendan Rodgers of the Hartford Yard Goats, and New York Mets outfield prospect Tim Tebow of the Binghamton Rumble Ponies. New Hampshire infielder Cavan Biggio , tied for the Eastern League lead with 16 home runs, will also participate. Headlining the Western Division roster are Baltimore Orioles number-two prospect, infielder Ryan Mountcastle , right-handed pitcher and number-four Detroit Tigers prospect Beau Burrows , and active Eastern League batting leader Luigi Rodriguez of the Richmond Flying Squirrels (Giants). Speedster and third base prospect Ke'Bryan Hayes of the Altoona Curve, ranked by Baseball America as the Pirates' number four prospect, will also star for the Western Division. Hartford and New Hampshire share the lead with six players each on the Eastern Division roster, while Akron, Bowie, and Harrisburg lead the Western Division with five representatives each. Jay Bell and his Trenton Thunder staff will lead the Eastern Division All-Stars. Michael Ryan and his Altoona Curve staff will pilot the Western Division. The complete rosters are listed below, including players who will be unavailable to attend or participate in the All-Star Game, marked with an asterisk. Individual tickets to the Eastern League All-Star Classic on July 10 and 11 at ARM & HAMMER Park are on-sale now. Fans can purchase tickets and two-day passes by visiting www.TrentonThunder.com/2018ASG or by calling 609-394-3300 x101.